Safefood 360° CEO George Howlett recently presented a webinar in collaboration with the International Food Safety and Quality Network (IFSQN) on pragmatic steps that can be considered when building a Risk & Compliance model for Food Safety Management Systems. The recent publication of the ISO 22000 standard earlier this year has introduced changes to how Food Safety Management standards can look. In general, this means a trend is becoming prevalent of food safety systems that are genuinely based on risk throughout, from top level to the smallest activity and task that might be conducted in a business. This is also occurring with a greater alignment in the approach businesses take in identifying risk and opportunities for improvement. 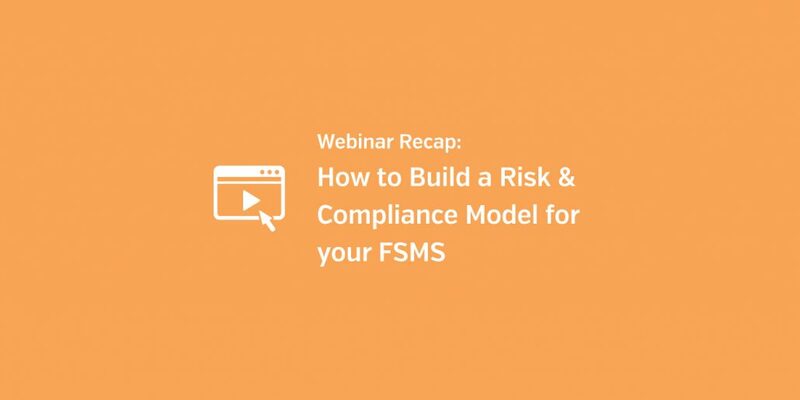 This webinar is presented below in full and examines the methods and models for measuring Compliance and Risk across food safety management systems. This includes the appropriate methods for single site and corporate environments, and also address the difference between measuring compliance and measuring risk, with particular focus on ISO 22000 and FSSC 22000. To learn more about how Safefood 360° can be implemented in your business to assist with your food safety management system, contact us below for a product demonstration. What criteria can you use to risk assess your suppliers? Why leafy green recalls keep occurring and what can be done about it?